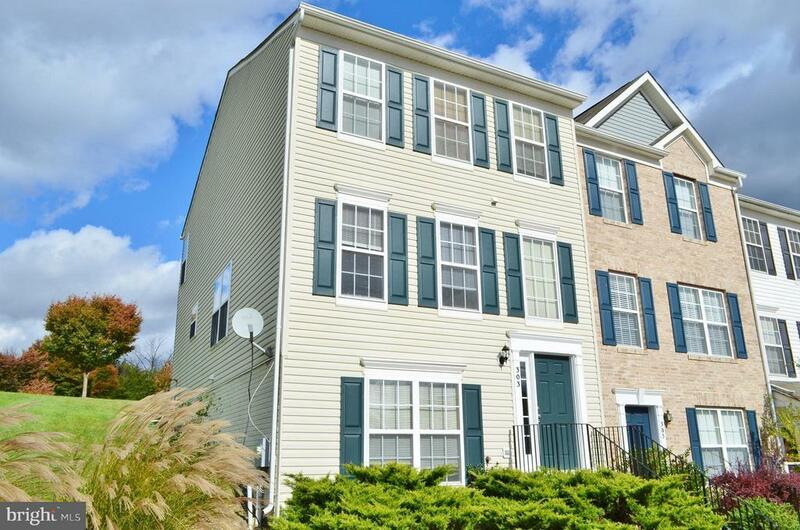 Fall in Love with this Spacious, Move-In Ready End Unit Townhome w/ New Carpet & Fresh Paint. Over 2, 200 sq/ft, 4 BR, 3.5 BA on 3 Finished Levels! Living/Dining combo, 1/2 Bath, Kitchen & Breakfast Nook w/ New Flooring on Main Level. Upstairs boasts a Master Suite w/ Soaking Tub, Walk-In Shower, Lower Level Complete w/ Family Room w/ New Floors, 4th BR & Full Bath. Efficient Natural Gas Heat.